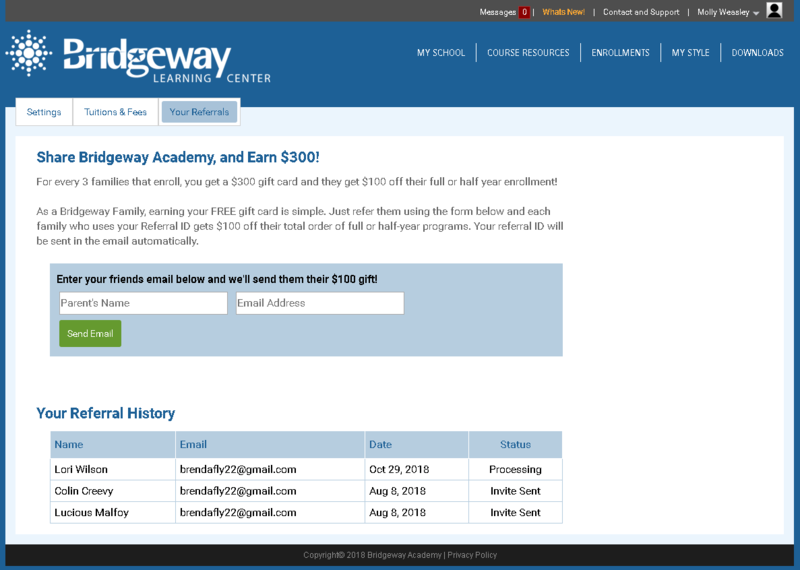 Share Bridgeway Academy and Earn $300! For every 3 new families that enroll, you get a $300 gift card, and they get $100 off their full- or half-year enrollment! Every family can share their Bridgeway experience with friends and family through our Referral Program! To share Bridgeway Academy, simply log in to your parent Bridgeway Learning Center account and click on My Account. From there, select the My Referrals tab. Simply add your friend's name and email address and click Send Email! Easy peasy!